Wisdom of Life. : Smart cunning thinking. Could not finish my smart story last nite. Here I am to continue the connection on being smart. Chong's story was 35 years ago. Today, I have another similar one which happened 15 years ago. It goes like this...there was this young man, Alvin who was only 23 then. With just one year experience working as an accounts executive serving an advertising agency, Alvin together with his girl friend, started their own advertising media. Although they worked very hard, it wasn't easy to gain entry to those big accounts. Most established companies preferred to work with the international house. Alvin with his creative mind, engaged two white men, one as art director and the other as managing director for his own company. Both were paid as part timer or to be paid whenever their services were required. The both white man names were printed onto their company profiles to look impressive. Each time when Alvin needed to see an important appointment, he would bring along the part-time MD and art director to show their credential. Instead his name card was printed as accounts director, thought he was the real owner of his firm. The white men were just to show their faces on the first visit and later Alvin was to follow all future calls. It was unbelievable! The business came pouring in with lesser afford. The Asian always claimed the white man is intelligence by the fact of their look and personality. They might be intelligence but it's the smartness of a person who uses the craftiness to overrule the intelligent. Chong and Alvin were those who knew how to overcome the acceptance of being smart. Chong was my friend and Alvin is my first son. Today we the Asian have not changed much. Even my principle company still appoints an English man to be the CEO of our business in Malaysia. You might not like it but that is the fact of life in Asia. I wonder when we are going to change!!! 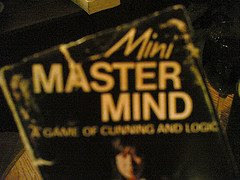 I prefer to be smart, not too much energy wasted and its more to master mind work...where intelligence are manipulated. All your comments on my blog are certainly smart too.